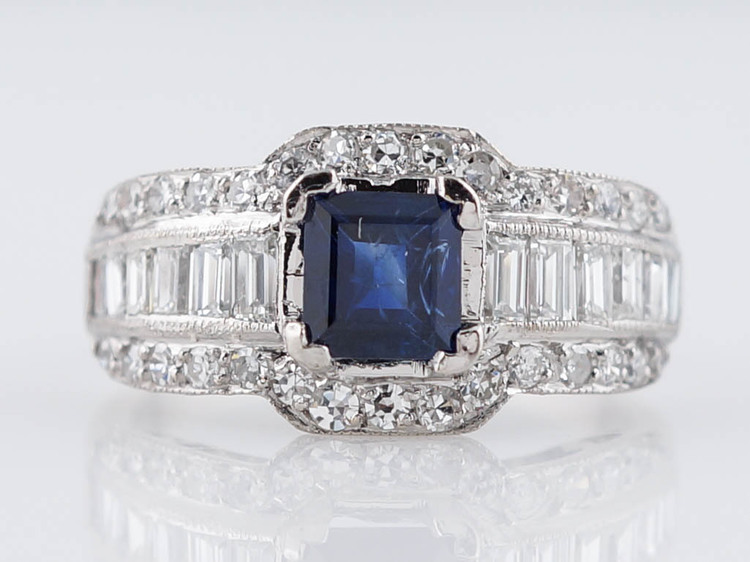 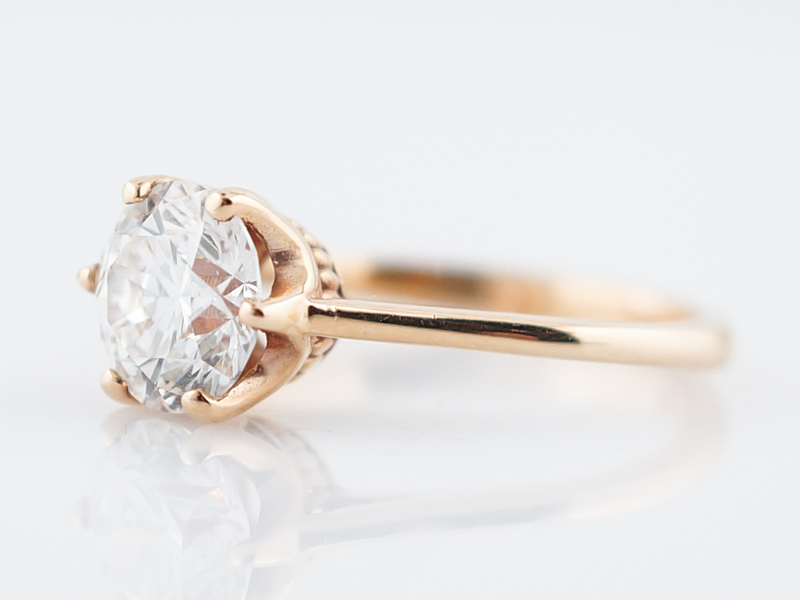 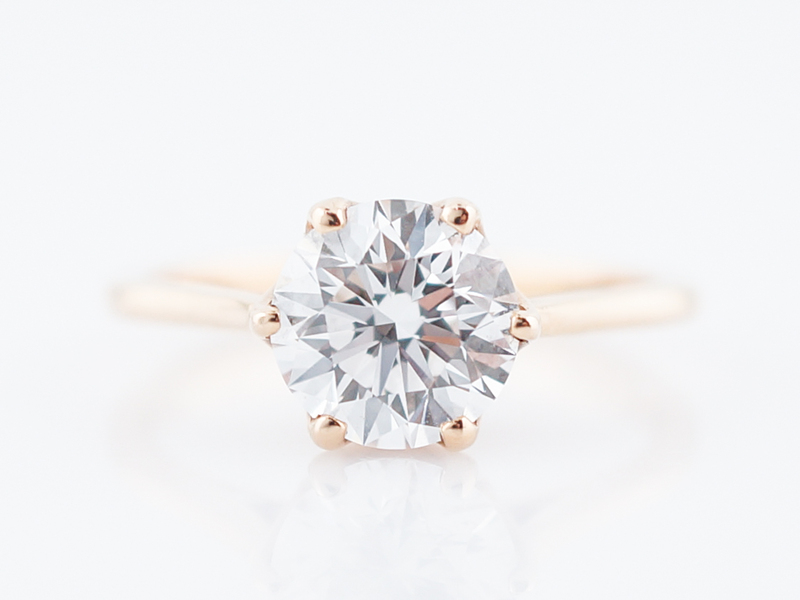 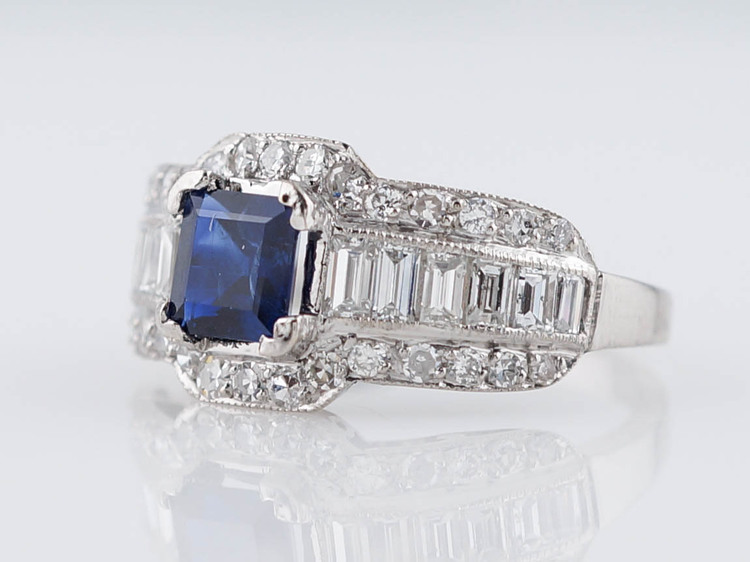 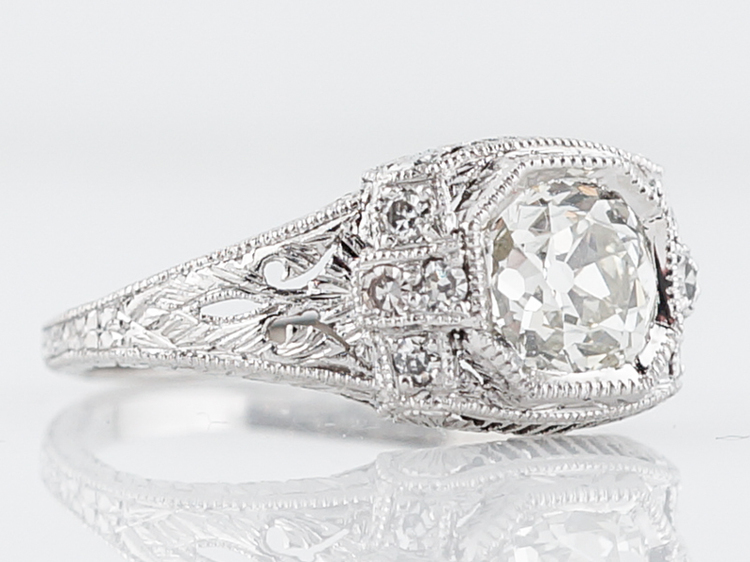 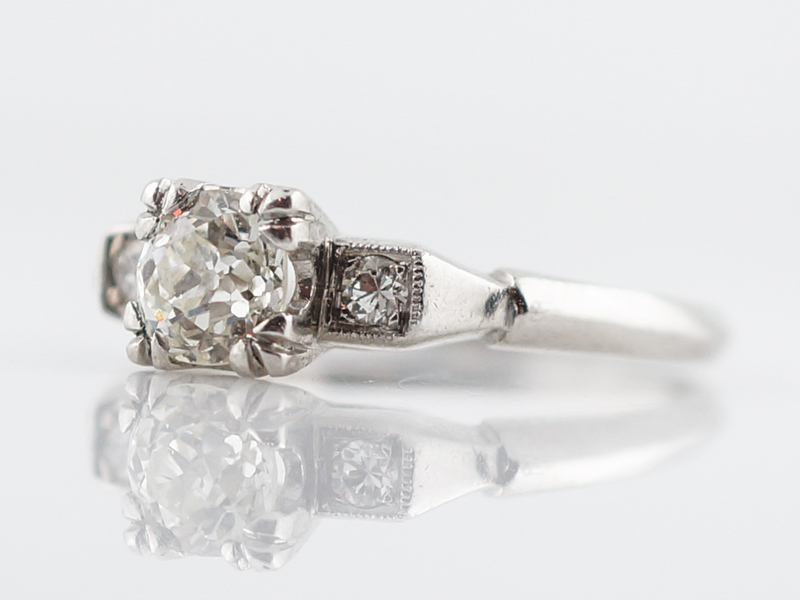 This original vintage engagement ring features a .85 carat old European cut diamond. 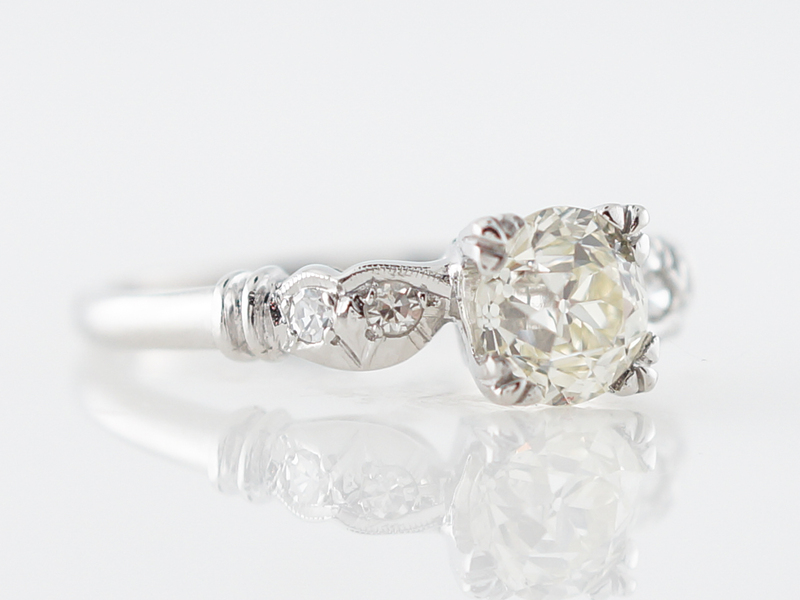 The M color center stone has a very warm tone often seen from stones of the era. 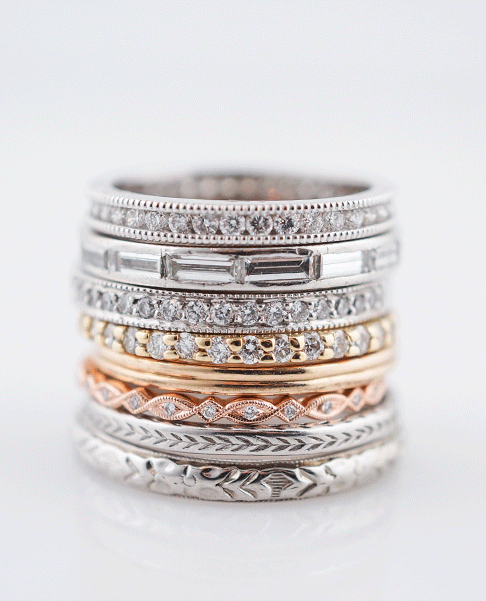 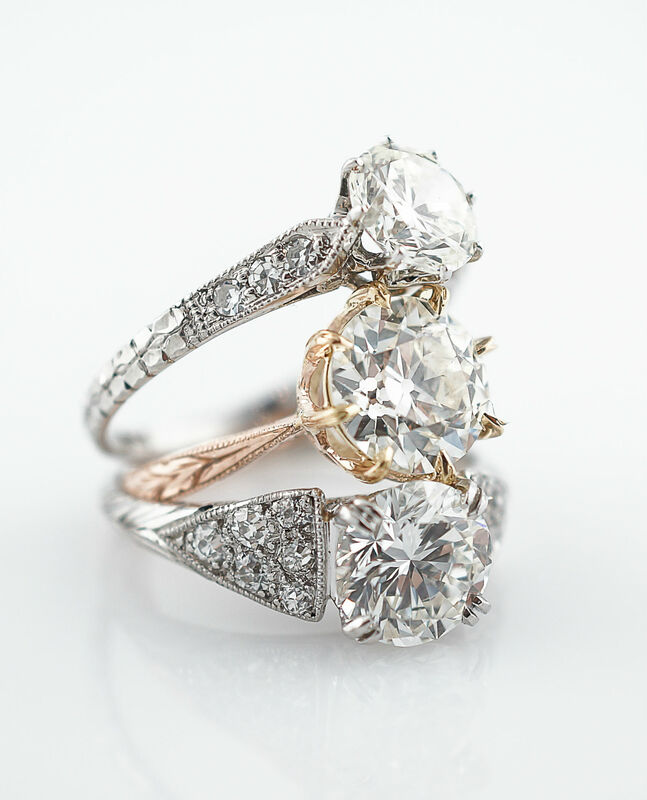 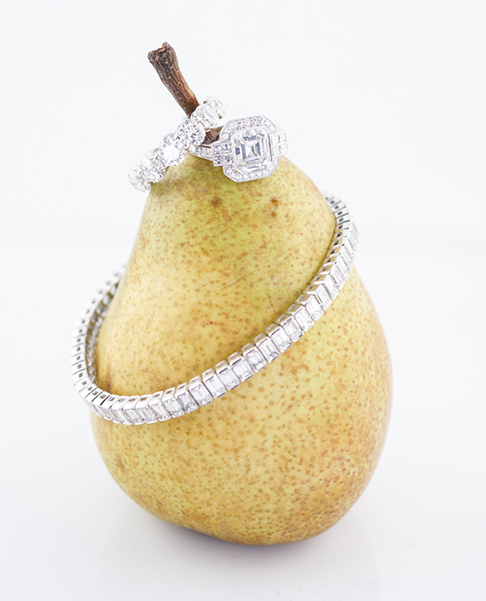 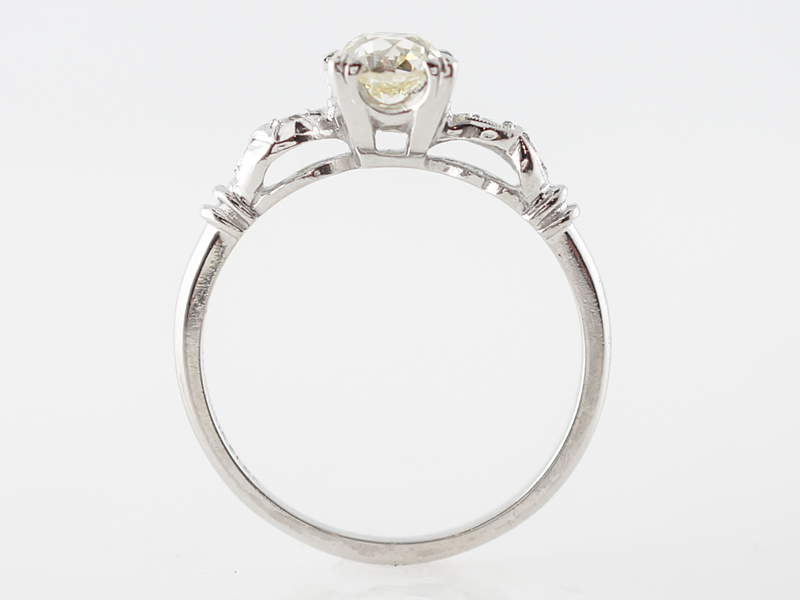 The prong set center stone is accented by two accent diamonds on each side, adding a hint of additional sparkle. 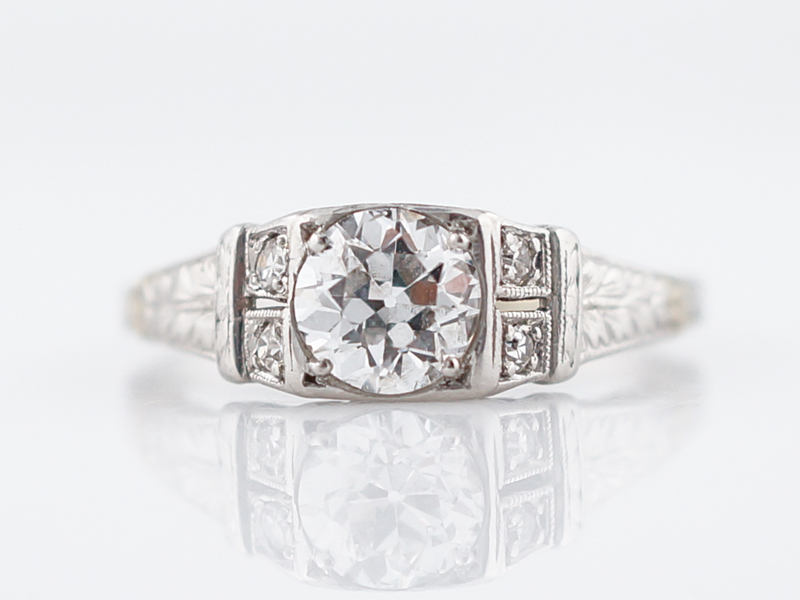 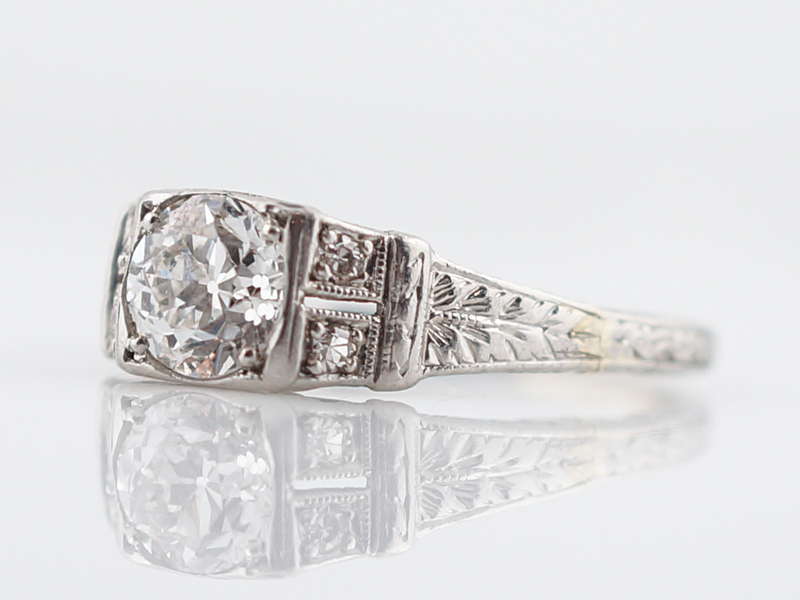 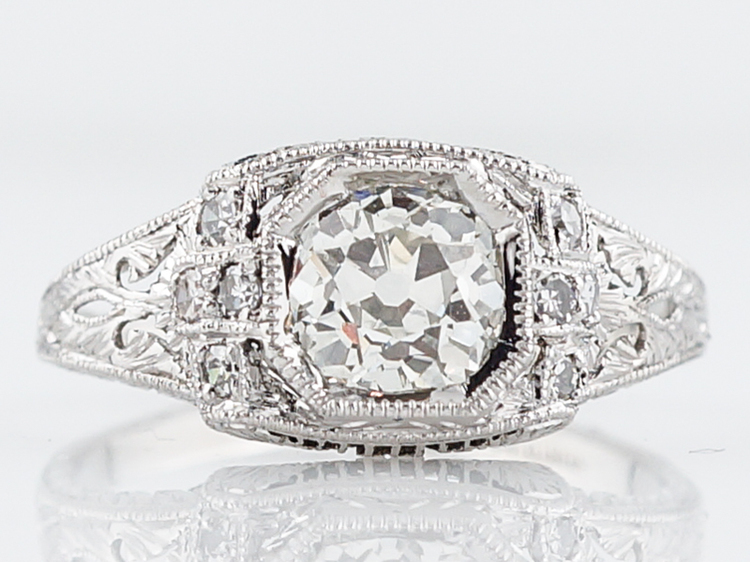 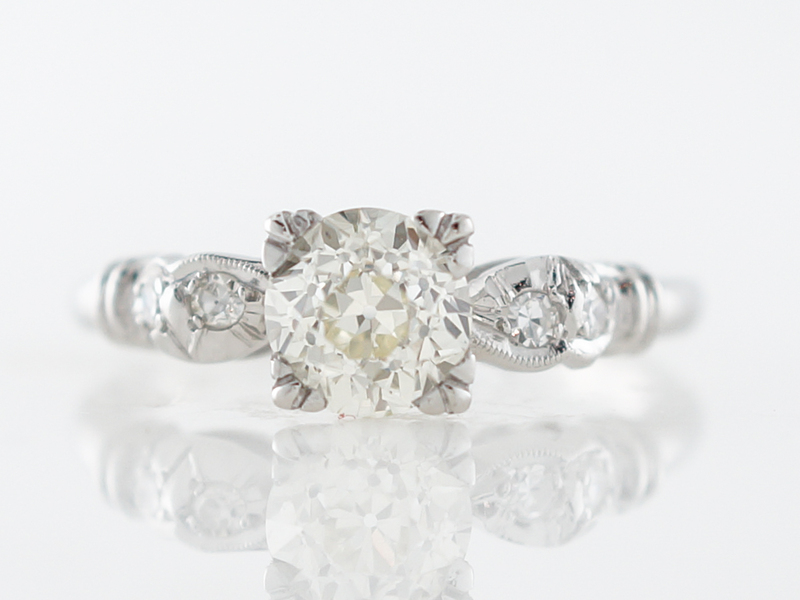 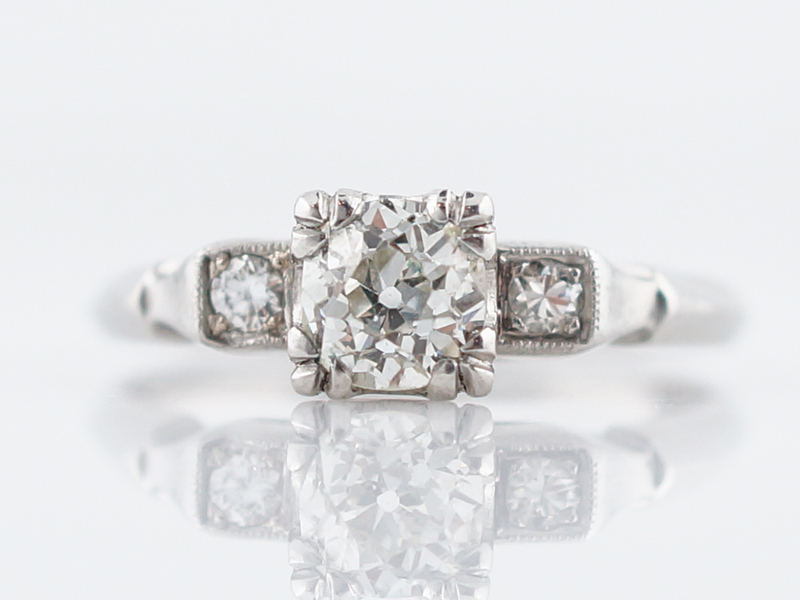 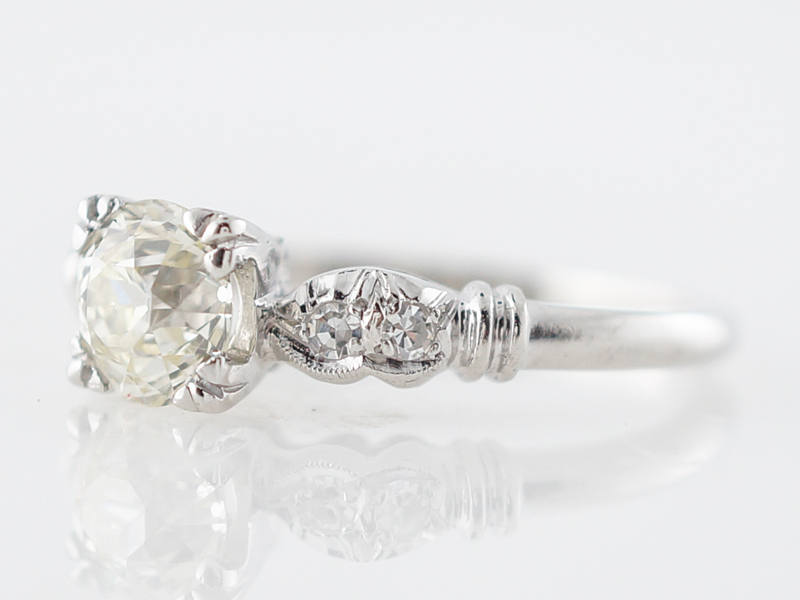 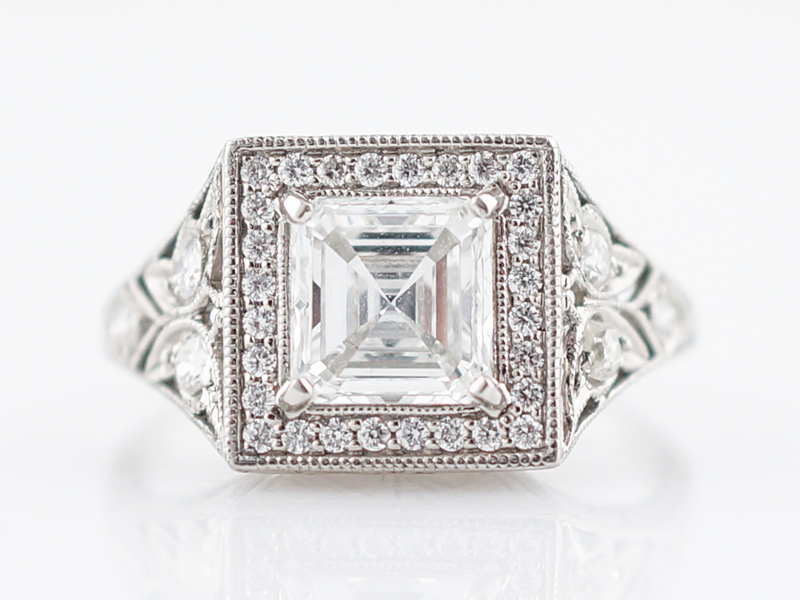 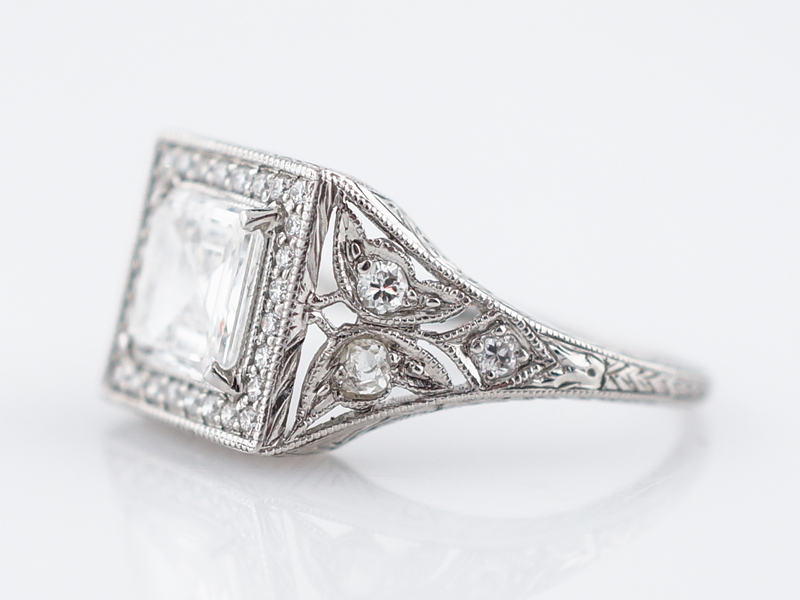 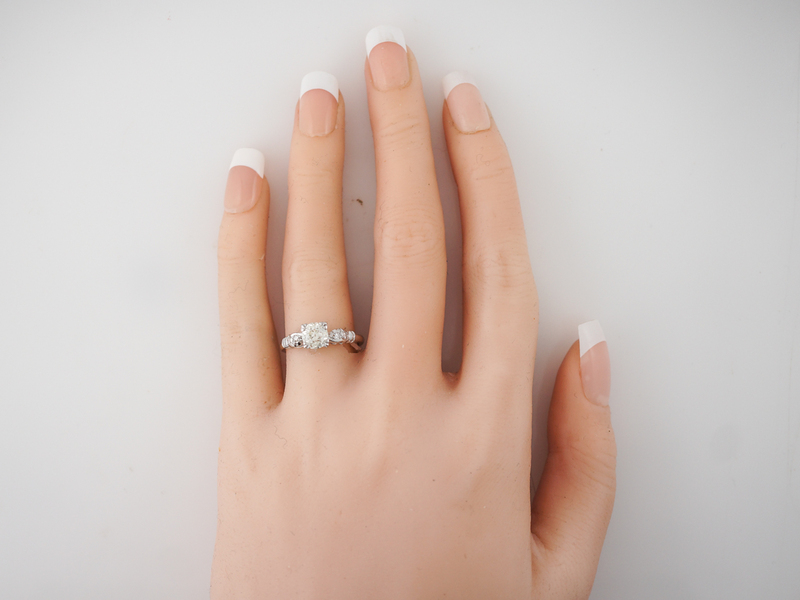 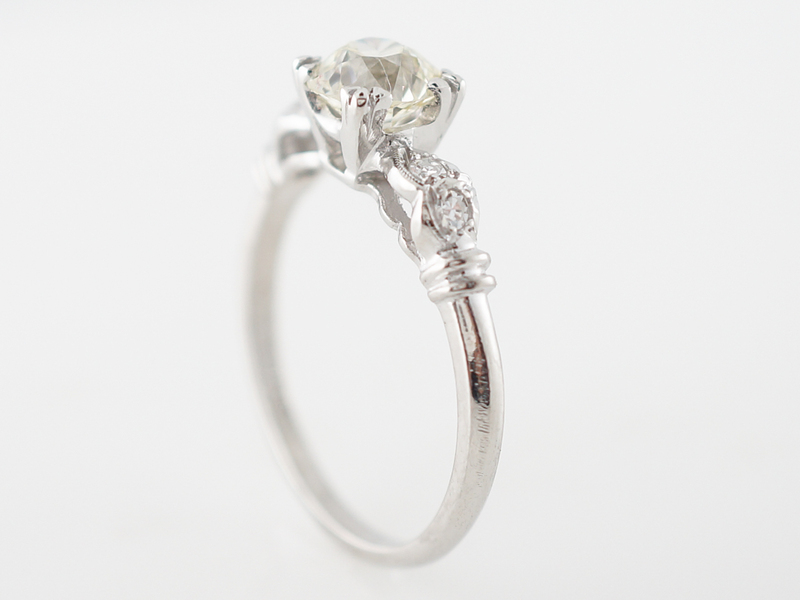 Finished in platinum, this beautiful art deco engagement ring is simple and classic!